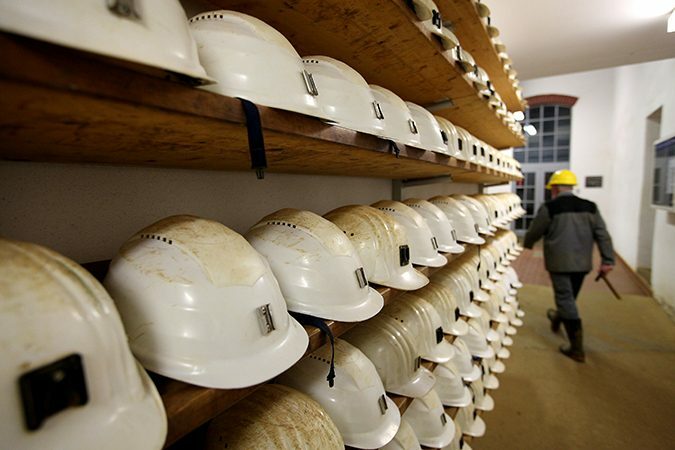 For 700 years, mining shaped the life of the people in the Ore Mountains. Even today, 150 years after full-scale mining came to a halt and 20 years after Uranium mining by the Russian-German “Wismut” company ended, people still keep up the traditions. 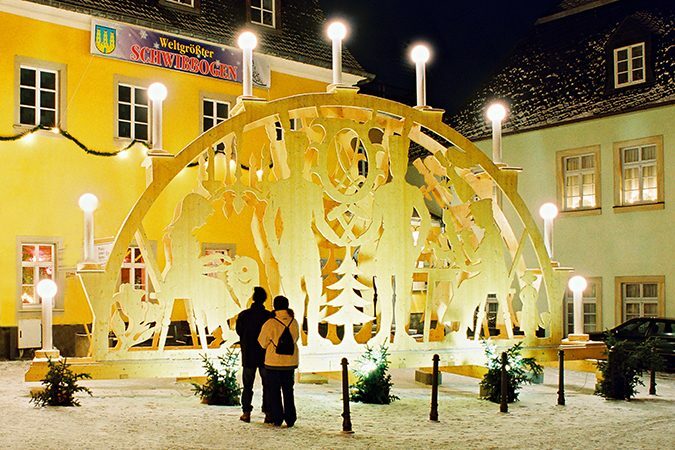 People in the Ore Mountains greet each other with “Glück auf”, the miners’ way of wishing each other good luck. During the Christmas season, men in traditional miner’s attire, form parades in many former mining towns. 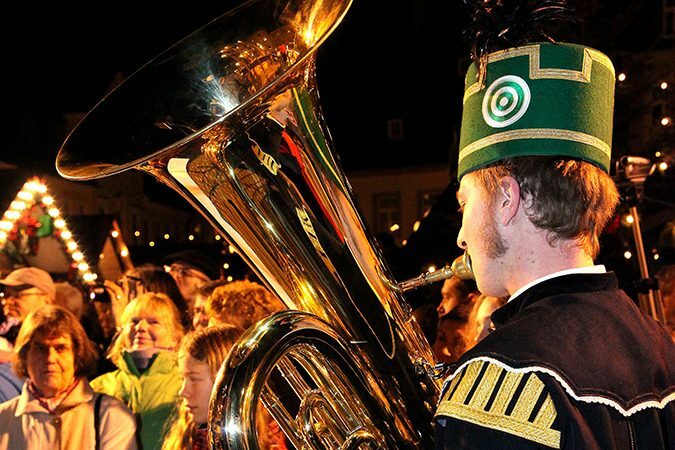 The “Mettenschicht” commemorates the last shift before Christmas which ends with a ceremony and a meal. During the festive season, houses in the Ore Mountains are brightly illuminated since the miners missed nothing as much as the daylight they hardly ever got to see. 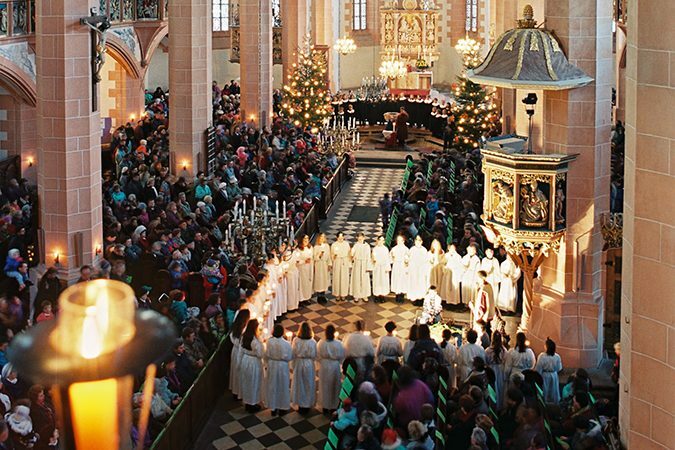 Christmas in the Ore Mountains is a truly unique experience where the focus is still on the traditions, not the gifts. Like the Christmas traditions, the famous hand-crafted wood products from the Ore Mountains are inextricably linked with the mining history. When mining declined, people began to invent and make wooden products of which the Christmas items are the best known. The nutcrackers with their grim faces and uniforms stand for the authorities which the miners had to work for. The smoking men represent is their counterparts, the amiable miners who will not let themselves be annoyed by them. The pyramid symbolizes the shaft tower of a mine, while the candle arch represents the entrance to the tunnel of a mine. But the most traditional figurines are the miner and the angel, standing for man and woman and for earth and heaven. 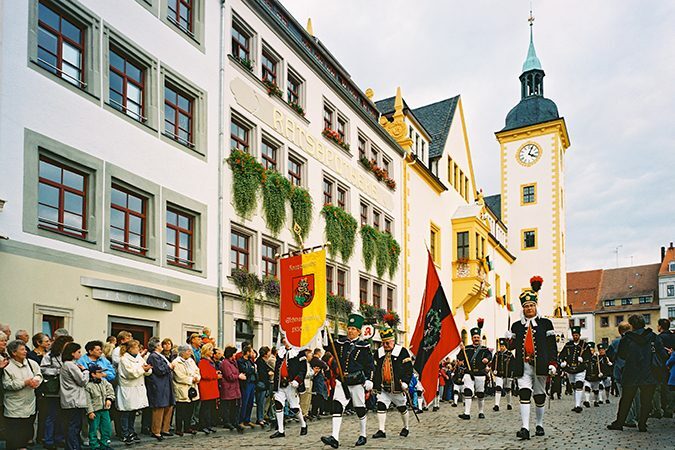 The rich heritage of the Ore Mountains can be traced on the Silver Route which connects relics from the mining age. It runs from Zwickau to Dresden and passes all major mining towns like Freiberg, where mining began, Marienberg, Annaberg and Schneeberg. The “berg” in the name means “hill” or “mountain”. Along the Silver Route, one can not only find historic visitor mines and ore processing facilities, but also the witnesses of the wealth created by the mining, like tall churches, imposing palaces and houses and valuable pieces of art. The “Terra Mineralia” exhibition in Freiberg’s Freudenstein Castle presents the most beautiful mineral collection in the world, while Annaberg’s “Manufactory of Dreams” stages the Ore Mountains wood products effectively.